The history of mining is replete with controversy of which much is related to environmental damage and consequent community outrage. Over recent decades, this has led to increased pressure to improve the environmental and social performance of mining operations, particularly in developing countries. The industry has responded by embracing the ideals of sustainability and corporate social responsibility. Mining and the Environment identifies and discusses the wide range of social and environmental issues pertaining to mining, with particular reference to mining in developing countries, from where many of the project examples and case studies have been selected. 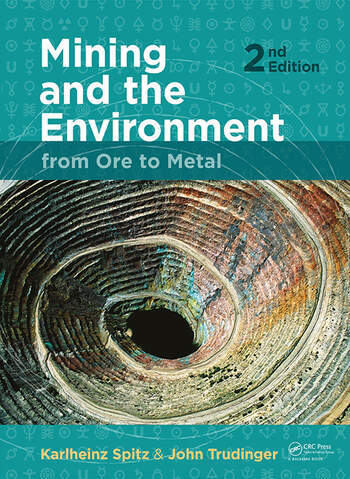 Following an introductory overview of pressing issues, the book illustrates how environmental and social impact assessment, such as defined in "The Equator Principles", integrates with the mining lifecycle and how environmental and social management aims to eliminate the negative and accentuate the positive mining impacts. Practical approaches are provided for managing issues ranging from land acquisition and resettlement of Indigenous peoples, to the technical aspects of acid rock drainage and mine waste management. Moreover, thorough analyses of ways and means of sharing non-transitory mining benefits with host communities are presented to allow mining to provide sustainable benefits for the affected communities. This second edition of Mining and the Environment includes new chapters on Health Impact Assessment, Biodiversity and Gender Issues, all of which have become more important since the first edition appeared a decade ago. The wide coverage of issues and the many real-life case studies make this practice-oriented book a reference and key reading. It is intended for environmental consultants, engineers, regulators and operators in the field and for students to use as a course textbook. As much of the matter applies to the extractive industries as a whole, it will also serve environmental professionals in the oil and gas industries. Karlheinz Spitz and John Trudinger both have multiple years of experience in the assessment of mining projects around the world. The combination of their expertise and knowledge about social, economic, and environmental performance of mining and mine waste management has resulted in this in-depth coverage of the requirements for responsible and sustainable mining. Minerals, Wealth, and Progress. Environmental and Social Impact Assessment - Protection Before Exploitation. Health Impact Assessment. Involving the Public - Forging Partnerships and Trust. The Anatomy of a Mine. Mining Methods Vary Widely - From Excavation to In-situ Leaching. Converting Minerals to Metals - From Ore to Finished Product. Our Environment - A Set of Natural and Man-made Features. The Baseline - Understanding the Host Environment. Identifying and Evaluating Impacts - Linking Cause and Effect. Cumulative and Transboundary Impact Assessment. Emphasizing Environmental and Social Management and Monitoring - Managing What Matters. Metals, Their Biological Functions and Harmful Impacts - Metals are Naturally Occurring Elements. Coal - Its Use as Fuel, and Greenhouse Gas Emissions. Was the Environmental Assessment Adequate? Identifying Issues, Finding Solutions. The Range of Environmental and Social Concerns - Separating Fact From Fantasy. Land Acquisition and Resettlement - When Property and Development Rights Collide. Community Development - Ensuring Long Term Benefits. Indigenous Peoples Issues - Respecting the Differences. Gender in the Mining Industry. Biodiversity and Conservation. Acid Rock Drainage - The Unseen Legacy. Tailings Disposal - Concepts and Practices. Approaches to Waste Rock Disposal - Issues and Risks. Erosion - The Perpetual Disruptive Forces of Water and Wind. Mine Closure - It is not Over When it is Over. Looking Ahead. Dr. Karlheinz Spitz is an environmental consultant with more than 20 years professional experience in Canada, Europe, Asia, and Australia. His main interest is the environmental assessment of large resource development projects in developing countries. He worked on many mines in South East Asia, covering a wide range of minerals and a diverse spectrum of environmental and social settings. Dr. Spitz understands mining as a sustainable economic activity; his focus is on the social, economic and environmental performance of mining. Dr. Spitz provides high level advice to Equator Principles Financial Institutions, and he is regular guest lecturer at various universities. John Trudinger is an environmental consultant with more than 40 years of professional experience. Initially qualified as a geologist, his initial experience was on geotechnical investigations for large infrastructure projects. In the early 1970’s he became involved in the emerging environmental business, and has since contributed as team member or team leader on environmental assessments for more than 100 resource development and infrastructure projects. He has worked throughout Australia, Asia and North America. His particular interest is the management of mine wastes in the mountainous wet tropics.